There were special court cameramen and photographers who captured the daily life of the Romanov family. The Company of von Gun filmed the Tsar, and with the permission of the Ministry of the Court, showed these films in movie theatres beginning in 1907. Before the February 1917 Revolution, the von Gun Company was the main provider of the Tsar's chronicles in the Russian film industry. After 1907 other filmmakers were permitted to film the Royal family, including A. Drankov, V. Bulla (the elder), Khanzhonkov Company, Pate Company, and others. Before the beginning of World War I a newsreel became popular capturing military parades, holidays, reviews and drills. Many are devoted to the Fleet. They document everyday life of the Baltic Sea and Black Sea squadrons. Some of the newsreels document the fire of the Maly Theatre in Moscow, mass gymnastics, auto and motor races, zoos and animal preserves, and the life of peoples of the Russian Empire. The objects of filming were political and cultural figures, the construction of warships, the Moscow flood, the testing of new agricultural equipment and the oil industry in Baku. There are also films showing the towns of Russia, etc. During World War I, cameramen captured events on all fronts. Before 1915, the exclusive rights to film battles belonged to the Film Department of the Skobelev Committee. The Skobelev Committee of the Assistance to the Wounded Soldiers of the General Staff was founded in November 1904 as a public organization. By the order of the Scobelev Committee many cameramen filmed the events of the World War I, such as Englishman Arcol (representative of Pate Company, filmed on South-Western and Caucasus fronts), cameramen E.D. Dored (represented American companies) and P.V. Ermolov, (filmed events on Caucasus front); P.K. Novitskiy (Gomount Company), N.M. Toporkov, K.E. von Gan, A.K. Gan-Jagelskiy, made filming in the General Headquarters. Other cameramen such as: A. G Lemberg, S, Zebel, Trushe, etc. also worked at the fronts. Cameramen filmed the war not only on the fronts but also from the rear. Since the first month of the war until 1917 the Scobelev Committee produced about 70 newsreels. From 1914 to 1915 cameramen of the Scobelev Committee produced 21 series of the newsreel "Russian Military Chronicle". The materials of this newsreel were used many times for the separate films made by Scobelev Committee and other film companies. 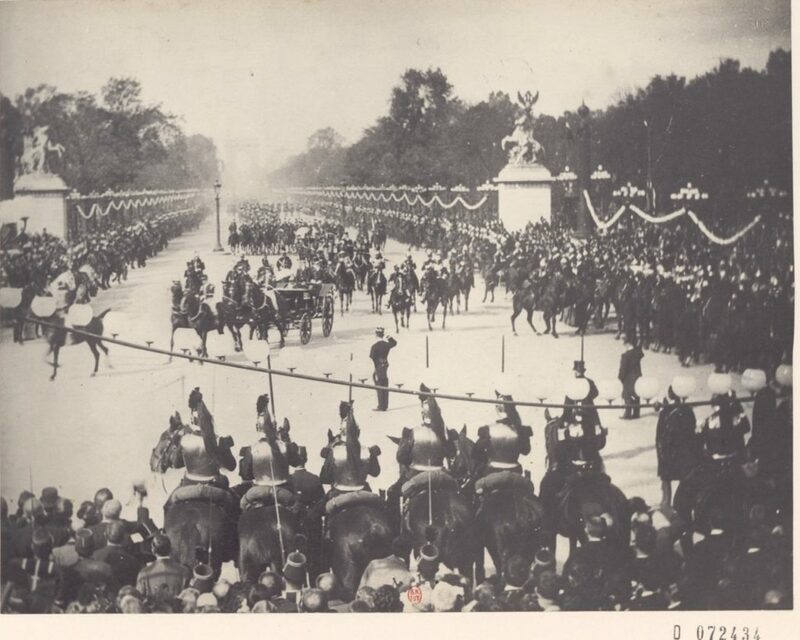 Emperor Nicholas II and Tsesarevich Alexei are taking a military parade.Tsarskoe Selo. 1913 year. Emperor Nicholas II and Tsesarevich Alexei are taking a military parade. Tsarskoe Selo. 1913 year. Император Николай II и Цесаревич Алексей принимают военный парад. Царское Село. 1913 год. 1908 Moscow. Street Kuznetsky Most. Newsreel. Moscow. Tverskaya Street at the end of the 19th century. The year 1896. Tverskaya Street 19th century. Petrovka in the early 20th century. A newsreel of 1918. Khamovniki in the year 1918. Maiden's field. Moscow. Kazan Railway Station is being built in Moscow. 1918 year. 1918 year. The area of three train stations in Moscow. Kursk railway station in 1918. Trials of autodrain. Moscow. Lefortovo. First Cadet Corps in 1918. Alekseevskoye Military College. 1913. The Borodino Bridge. Jumping in the Moscow River. Moscow River near the Kremlin in the early 20th century. Moskvoretskaya and Sofiyskaya embankment. Shopping Rows. Moscow. 1914 year. Tverskaya street. Collecting tobacco for the Russian army. World War I.
Кинохроника 1914 года из "Pathé-journal", выпускавшейся фирмой "Пате", называется "Сборъ табаку для русской армiи". Street Volkhonka. Moscow. 1919 year. Фрагмент кинохроники "Обед за рубль для безработных" из киножурнала " Кино-неделя" № 3 от 1918 г.
Moscow panorama of the city 1908. Newsreel footage. 30 августа 1911 г. Киев. Европейская площадь. Фрагменты кинохроники с открытия памятника Александру II. кадры пленных австрийцев в центре Москвы в 1914 году. Кинохроники Первой Мировой Войны. Российская воздушная разведка. Съемки турецкой территории. 1916 год. Спортивный праздник на Марсовом поле в Петербурге, проходивший в 1912 г., на котором демонстрируются элементы сокольской и немецкой гимнастики. Нарезка из передачи "Запечатленное время: Олимпиада 1913 года". Российский император Николай II прибыл с визитом в Хельсинки (Финляндия) в 1915 году. The last parade of the white army. Парад воинских частей,казаков,скаутов,гимназистов и учеников реальных училищ 26 мая 1922 года во Владивостоке по поводу годовщины прихода к власти правительства братьев Меркуловых.